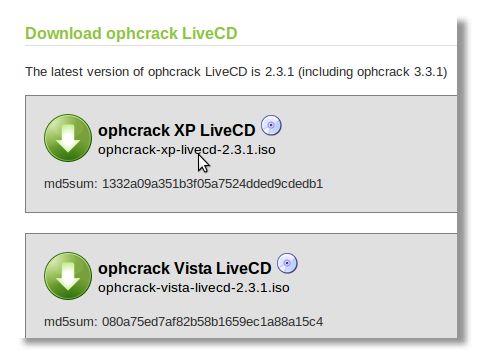 The first thing we will need to do is download the CD image from Ophcrack’s website. There are two options to download, XP or Vista, so make sure you grab the right one. 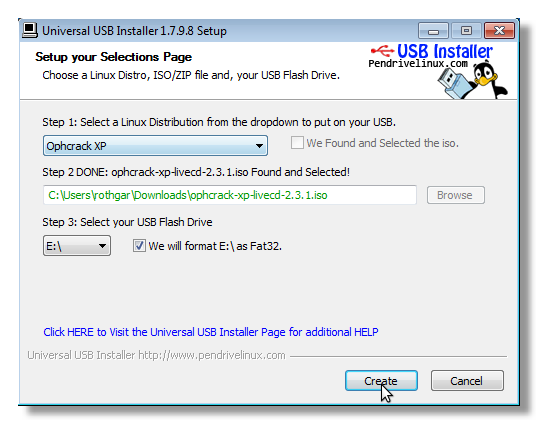 The Vista download works with Windows Vista or Windows 7, and the only difference between XP and Vista is the “tables” Ophcrack uses to determine the password. 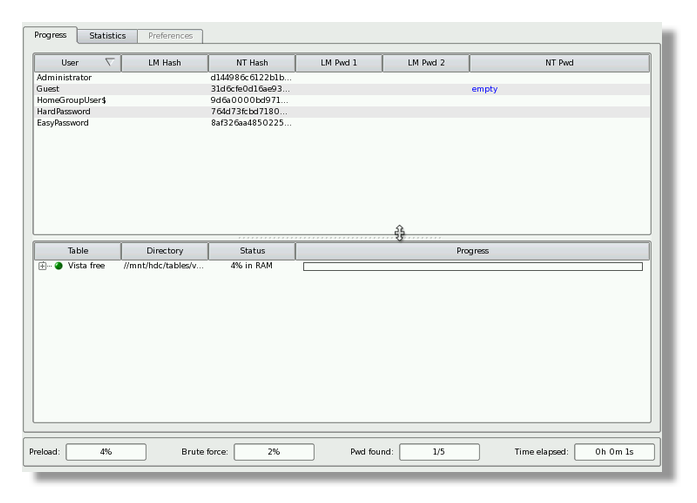 If you are going to be cracking your password on something that doesn’t have a CD drive, such as a netbook, download the universal USB creator from PenDrive Linux (Link Below). A USB drive will not only run faster but you can also use a single USB drive for Windows XP, Vista, and 7 if you copy the needed tables to the drive. To create a USB drive that works with all versions of Windows, download the free password tables from Ophcrack’s website. Note: There are free tables available on Ophcrack’s website and there are paid tables, the paid tables will typically get the job done faster and will be able to crack more complex passwords but the paid tables may not fit on a USB drive because they range in size from 3 GB to 135 GB. Note: If the computer boots and you only have a blank screen or Ophcrack doesn’t start, try restarting the computer and selecting manual or low RAM options on the live CD boot menu. If you have a complex password it will take a lot longer than simple passwords, and with the free tables your password may never be cracked. Once the crack is done you will see the password in plain text, write it down and reboot the machine to login. If your password isn’t cracked, you can also log in as one of the other users with admin rights and then change your password from within Windows.